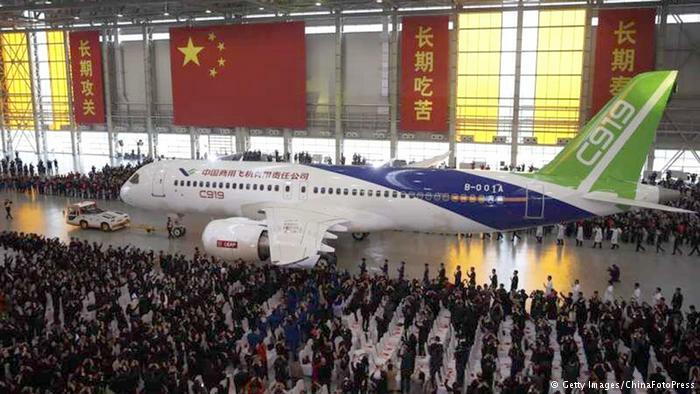 The domestic MS-21 airliner which in the next months should be shown in metal, received the first foreign contract. The Egyptian company can get in the sum of 10 such planes. And though the order not too big, it became one more sign of prospects of this major for the Russian aviation industry of the project. Russia and Egypt concluded the agreement on delivery of six passenger MS-21 planes, United Aircraft Corporation (OAK) reported. The contract also provides an option for four more MS-21. Documents during an air show of Dubai Airshow 2015 were signed by the head of the Egyptian holding KATO Investment Ibrahim Kamel and the president of Irkut corporation Oleg Demchenko. 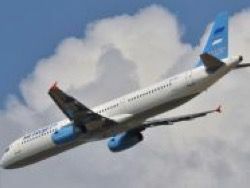 The Cairo Aviation airline is a subsidiary KATO Investment. The sum of the agreement is not specified. However this summer in "Irkut" noted that expect to receive «the fair price» at level of the current prices for Airbus A320 and Boeing-737 family planes (the main competitors of the Russian liner). Catalog cost of version MS-21-300 (on 180 places) made 85 million dollars. Thus, the contract with Egypt could be concluded on 850 million dollars (on purchase of 10 liners), the firm contract – on 510 million dollars. 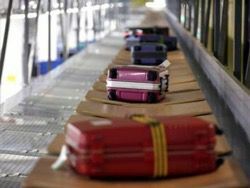 However, it is impossible to exclude that Egyptians as the first foreign customers received a discount, and essential. Not less important clause of the contract is possibility of creation of the regional center for repair and service MS-21 around the airport of El-Alameyn in 184 kilometers from Cairo. KATO Investment intends to transfer free of charge the area adjoining the airport, for placement of production constructions. The organization of the center will create additional conditions for advance MS-21 to the region countries, note in "Irkut". MS-21 – the Russian liner which is created on Tu-154 and Tu-134 replacement. 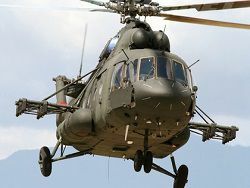 Vykatka of the plane should take place at the end of this year. The first flight tests of the plane will begin summer of 2016, in them will participate four MS-21. In two years – in 2018 – it is planned to receive the certificate of type of the Aviation register of Interstate aviation committee (POPPY) and at the end of the same year to transfer the first liner to the starting customer. The first will start to let out MS-21-300 on 180 places. In total at MS-21 there will be three versions: MS-21-200 (150 seats), MS-21-300 (180 places) and MS-21-400 (212 places). The majority of customers make a choice for the extended version of the plane on 180 places. In "Irkut" plan that sale of three-four 180-seater will fall on one 150-seater car. And to customers it is given the chance in two years prior to the designated date of the order to change capacity. Now planes of bigger capacity understandably use demand – the market of air transportation roughly grew. But the situation in the market can and exchange. Exit MS-21 to the international market not only lifts authority of the liner, but also forces other foreign airlines to look at the new development of Russia competing to Airbus and Boeing more fixedly. The success of the liner traditionally is defined on stages of its development, to a real exit from the conveyor. And the main criterion of success is number of the signed firm contracts. And the success in the world market is provided by orders from the foreign companies. The portfolio of firm contracts (it means that advance payments are received for liners) for summer of 2015 made 175 planes. So, the Aviakapital-Service leasing company (Rostekh’s "daughter") ordered 50 planes with Pratt & Whitney engines and 35 with the latest domestic engine. «Ilyushin Finance Co.» ordered 50 more boards, "WEB LEASING" – 30 more planes. Purchase of planes in leasing (in rent) – usual practice for airlines it is not always favorable to them to withdraw from a turn of 85 million dollars for one plane and to wait for its emergence in some years. It is already known that lessors signed agreements with four airlines: "Aeroflot" and "Utair" (rent 10 MS-21), Red Wings (10 planes) and "Transaero" (12 boards). 10 more planes within the firm contract will be received by the Russian airline "IrAero". Plus on 98 planes is options and protocols on intentions. Now to this portfolio the Egyptian order increased. It is clear that initial demand for the latest liner is generated with state support. And then it should pick up and other buyers. According to the same scheme untwisted the first domestic plane which has appeared after disintegration of the USSR, SSJ-100. Now it foreign carriers actively use. Just one of these days at an air show in Dubai it became known that Egypt Air and other Egyptian airlines want to sign the contract for delivery from five to 15 additional SSJ-100 planes, possibility of deliveries of 50 SSJ-100 to India, and after removal of sanctions from Iran – deliveries about 100 liners and to this country also is considered. «The first foreign order for MS-21 is, of course, good news to the project. Foreign prospects at the plane, apparently, appeared», – tells to the newspaper the LOOK the managing partner of the company on audit and consultations to business «2К» Tamara Kasyanov. However from this transaction, in her opinion, early to do far-reaching conclusions because planes are bought by the Egyptian company KATO Investment, with which OAK already cooperated earlier on other planes – Tu-204. Cairo Aviation to which will manage the Russian liners, is the small charter airline which park now consists of three Russian planes of a line of Tu-204. 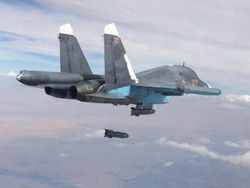 Kasyanov tells that in due time Cairo Aviation "rolled" Tu-204 in an operating mode then the Russian planes were recognized as the perspective. After that the parent company of the Egyptian charter carrier of Sirocco Aerospace International achieved an exclusive right on sale to foreign carriers of the Russian Tu-204 with engines of foreign production. Within cooperation with OAK according to this Sirocco Aerospace project even got a share in the Aviastar-SP company entering into OAK. However, as we know, sales of Tu-204 and "did not go". 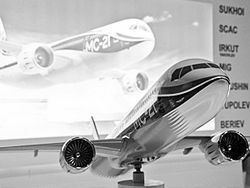 Kasyanov does not exclude that Sirocco Aerospace plans to reanimate this scheme of work – to "test" the new Russian MS-21 plane and at positive results to achieve the right to sell it abroad. «However for this purpose it is necessary, that MS-21 it was pleasant to the Egyptian carriers», – the expert specifies. Of "Irkut" assure that Russian MS-21 will win against the western liners at the expense of bigger profitability. So, airlines will receive benefit of 3 million dollars a year at the expense of the best fuel and weight efficiency of the Russian liner, and also at the expense of reduced time for performance of standard flight, the vice-president for marketing and sales of civil aircraft of Irkut corporation Kirill Budayev told in the summer. To reduce time of flight it will be possible at the expense of increase in cruiser speed and reduction of a holding time of a board at the airports. Even the new generation of planes of the European and American producers cannot outstrip MS-21 according to the characteristics. Because the Russian plane was from the very beginning projected so that not to catch up with competitors, and to overtake them. In MS-21 modern composit materials are used. Moreover, this liner will be equipped with the latest domestic PD-14 engine which flight tests began at the end of October. 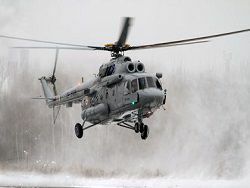 It is the first completely domestic engine for civil aviation since disintegration of the USSR. The western competitors seriously perceive an exit of the rival to the market and already prepare for it. Indirectly it confirms also that fact that in Airbus and Boeing presentations for a long time there was information about MS-21. This liner becomes already the second civil plane which Russia is going to let out after disorder of the USSR. With that only a difference that SSJ-100 from the technical point of view is simply modern liner, and MS-21 – the latest. Nevertheless it was necessary to start from something simpler. Besides, SSJ-100 the emergence not simply declared to the whole world the new Russian liner. Its task was to return to Russia authority of the world aviation power about what many managed to forget after disintegration of the Soviet Union, and to facilitate an exit to the world scene to new development of the country in civil aircraft industry. SSJ-100 as though blazed a path on the foreign market for MS-21. Nevertheless to expect that among the first customers of this modern Russian liner there will be known western airlines, would be naive. Because with MS-21 Russia very highly raised a bar. After all it is the direct competitor of the planes A320 and B737 most popular in the world from two largest aircraft manufacturers – the European Airbus and the American Boeing. The Russian plane aimed at the most competitive segment of a world aviation market. However prospects MS-21 are available thanks to capacious domestic market, and also demand from Asian and African airlines. In "Irkut" noted that continue to carry on negotiations with state customers. Needs of state structures for MS-21 planes on 150-180 chairs are estimated at some tens. Besides, "Irkut" constantly communicates with 240 airlines which carry out transportations by uzkofyuzelyazhny planes – competitors MS-21. In total such carriers in the world is about 370. According to "Irkut" plans, to 70 % of sales of MS-21 planes will fall on the international market. Moreover, taught by experience of sales of SSJ-100 the Russian aviation industry not only sells MS-21, but also in advance started to be engaged in construction of system technical and an aftersales service, and also already now studies the plan of fast delivery of necessary spare parts and details.